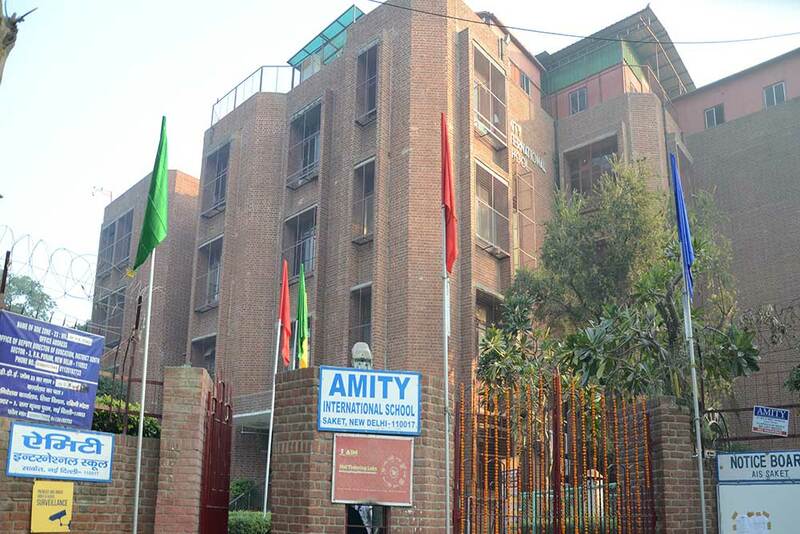 Amity International School, Saket is the first in the chain of schools and institutions established under the aegis of its visionary Founder President Dr Ashok K. Chauhan. Established in 1991, the school has set several benchmarks under the dynamic leadership of its Chairperson Dr (Mrs) Amita Chauhan. Strategically located in the congenial surroundings of South Delhi, the school is imaginatively landscaped and meticulously planned with attention to detail. The school aims at nurturing individuals with paramount values and multivalent competencies. This lofty and complex task is accomplished by virtue of a dynamic curriculum that envisions not only academic excellence but aesthetic refinements, effective skills and the art of living. An innovative, contemporary and skill-based education that meets global standards is the hallmark of the school. A comprehensive education system coupled with a passion for sincerity, dedication and excellence drives us towards creating global leaders who will take on the mantle of tomorrow. With an enrolment of approximately 2000 students, AIS Saket offers the perfect atmosphere, the best expertise and excellent experience to develop the unperceived potential of each child. The school stands true to Amity's philosophy of ‘Where modernity blends with tradition’. Garnering the best from Indian traditional values and international education systems, the school has developed a pattern of holistic education. While Amitians develop an appreciation of human values like tolerance, brotherhood, respect for elders, patriotism and sanskaras, they at the same time excel in leadership summits, MUNs, national and international competitions and more. AIS Saket has carved a niche for itself as one of the premier schools in the capital. Amity is India's leading educational group established under Ritnand Balved Education Foundation (RBEF). Ritnand Balved Education Foundation (RBEF), a non-profit organization registered under the Societies Act-1860, is the umbrella body for all Amity institutions. Driven by the dream to create a world of knowledge par excellence, the foundation is spearheading the activities of the AKC Group of Companies in the field of education. Today, Amity offers educational solutions at every step ranging from pre-nursery to higher education. Encompassing 95000 students, 5 universities, 17 schools and pre-schools, 150 + Institutions and Global Campuses in London, Singapore, New Jeresy, California, Mauritius and Romania; Amity today is one of the largest educational groups in the country. The Amity Group envisages a complete world of education metamorphosing young minds towards excellence.